Transportation “lockbox” constitutional amendment approved by General Assembly, will appear on ballot. HJRCA 36 is a response to the lack of an overall State balanced budget and the movement of money from specifically transportation-related taxes and fees to other spending programs. If approved by the voters in November, this amendment will put all revenues from transportation taxes and fees into a “lockbox” that can only be used for transportation purposes. Under HJRCA 36, the money generated by these taxes and fees could only be spent for road construction and repair, enforcing traffic laws, and paying off transit-related debt. Cash flows that would be affected by this amendment include the state tax imposed on motor fuel of 19 cents per gallon of gasohol and 21.5 cents per gallon of diesel fuel. Sales taxes also imposed on motor fuel are not defined as specifically transportation-related taxes and fees, and would not be affected by this amendment. The transportation “lockbox” amendment was the only constitutional amendment approved by both houses of the General Assembly in time to be submitted for final action to the voters in November 2016. Other proposed amendments, such as measures to abolish the office of Lieutenant Governor, to legalize a graduated individual income tax rate, or to change the way districts for members of the Illinois General Assembly are drawn on maps, failed to get the required three-fifths approval of both legislative houses by the constitutional deadline, and will not appear on the ballot. The House vote to approve HJRCA 36 for submission to the voters was 98-4-2. Approval of the amendment by the state Senate on Thursday, May 5, completed the task of clearing this measure for submission to the voters in November 2016. Dynegy announces preliminary shutdown plans. The Houston-based electric holding company announced plans this week to shut down between 1,800 and 2,300 megawatts of coal-fired generating capacity in Downstate Illinois. Dynegy, the owner-operator of plants formerly owned by Ameren and its predecessor Illinois Power, is the largest firm active in the generation of electricity in southern Illinois. The Texas-based holding company is looking to implement shutdowns at two very large coal-fired generating stations, the Baldwin plant in Randolph County and the Newton plant in Jasper County. The move was announced on Tuesday, May 3. It was seen as a response to a recent ruling by the operator of the central U.S. electrical grid, the Midcontinent Independent System Operator (MISO), to lower the price that its members are willing to pay for marginal electrical supply generated from coal. The MISO grid and its member power plants, including plants operated by Dynegy, sell into a common interstate grid that utility members sell into and draw power out of as needed. In 2015, MISO offered high prices for marginal coal-fired electricity, but the consortium has reduced these offers for summer 2016. Hot summer months in the Midwestern U.S., with their heavy customer use of air conditioning, post the highest “peak” demand periods for electricity. In a separate decision, Dynegy has already taken final steps to shut down the 1950s-era Wood River coal boiler plant in East Alton, Illinois. The St. Louis-area plant can generate up to 465 megawatts of electricity and employs approximately 90 people. It will go cold on or about Wednesday, June 1. Dynegy became the owner of five Illinois coal plants in 2013 when the St. Louis-based Ameren decided to leave the Illinois power generation market. Exelon to move forward with early retirements of Clinton and Quad Cities nuclear facilities. Exelon announced Thursday that it will need to move forward with the early retirements of its Clinton and Quad Cities nuclear facilities if adequate legislation is not passed during the spring Illinois legislative session, scheduled to end on May 31 and if, for Quad Cities, adequate legislation is not passed and the plant does not clear the upcoming PJM capacity auction later this month. Without these results, Exelon would plan to retire the Clinton Power Station on June 1, 2017, and the Quad Cities Generating Station on June 1, 2018. The premature closures of Clinton and Quad Cities would have negative economic and environmental impacts for consumers, local communities and the State of Illinois. According to an analysis by the State, approximately 4,200 direct and secondary jobs and nearly $1.2 billion in economic activity will be lost within four years of the plant retirements. State Rep. Bill Mitchell, whose district includes Clinton, is backing legislation that would provide a market-based solution to protect the future of the Clinton Power Station and other nuclear plants in Illinois. Mitchell and Senator Chapin Rose held a press conference in Clinton last week with local officials to discuss efforts to keep the plant open. Illinois’ 11 nuclear units and 6 stations produce 48 percent of the state’s electricity. According to Exelon, the Clinton Power Station produces enough electricity to power 1 million homes. The plant is the largest employer in DeWitt County, providing nearly 700 jobs at an annual payroll of $63 million and generating $13 million in tax payments. For tax year 2014, Clinton Community School District 15 received $8.3 million (53% of its property tax revenue); DeWitt County received $2.2 million (44% of its property tax revenue). Redistricting reform measures advance. 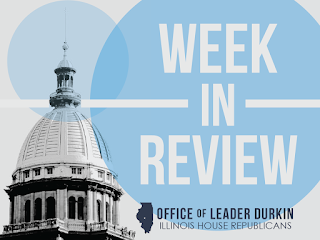 Two measures, one citizen-initiated and one originating in the Illinois House, were moved forward in attempts to change the way the State draws legislative maps to elect future members of the Illinois House and Senate. Circulators of petitions for the Illinois Independent Map Amendment stated on Friday, April 29, that they had gathered the needed signatures to place their amendment on the Illinois ballot in November. 290,216 signatures were required. If the signatures and amendment are accepted by the courts, Illinois voters will face a ballot question on whether to amend the state Constitution. The amendment, if adopted, will create an independent commission to draw future district maps for Illinois legislators. The next mapmaking cycle will follow release of the numbers generated by the 2020 census. Because the Constitution places very narrow limits on the kinds of amendments that can be originated by the people and placed on ballots by petition, litigation against the Independent Map Amendment is likely. On Tuesday, May 3, the Illinois House approved an alternate independent map constitutional amendment, HJRCA 58. Unlike the Independent Map Amendment, HJRCA 58 was a conventional constitutional amendment originating in the General Assembly. After being approved by the House this week by a vote of 105-7-0, however, HJRCA 58 was likely killed in the Senate when it was assigned to a subcommittee. 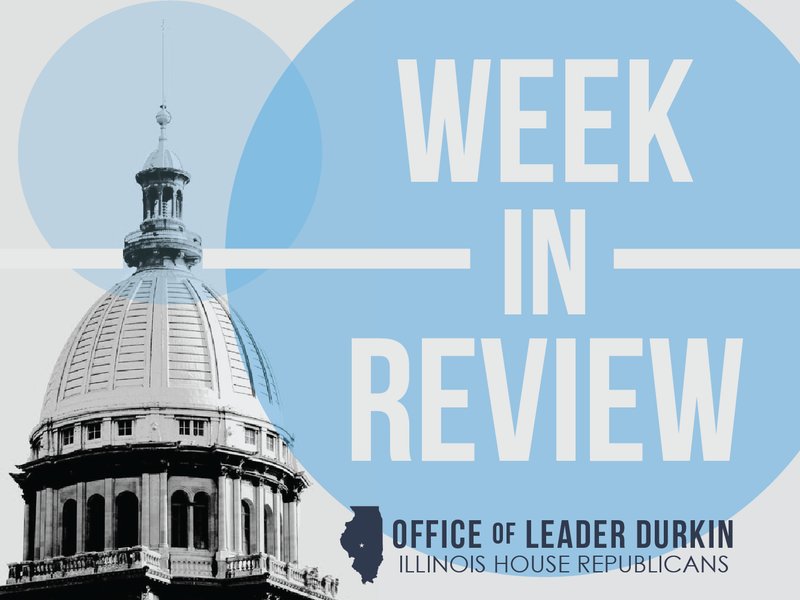 The Senate’s inaction places additional attention on the Illinois Independent Map Amendment as the one remaining pathway to get the issue of “fair maps” on the Illinois ballot this fall. Chicago State lays off 35% of workforce. The move by Chicago State University (CSU), which is dependent on state funding to supplement student tuition and federal/private sector grant funding, follows the continued non-passage by House and Senate Democrats of a balanced budget for FY16. The CSU layoffs had been widely expected. In fact, over the past several weeks the university had made plans to carry out a complete shutdown of its operations. The need for this move was alleviated when the House and Senate appropriated $600 million in “stopgap” emergency funds to be divided between facilities of Illinois higher education, including CSU. Based on this appropriation level, $20.1 million was allocated last week to CSU. However, this state aid was not enough to prevent major CSU layoffs implemented on Saturday, April 30. Chicago State University’s spring term was not directly affected by this layoff, as the cash-strapped university had already implemented changes to its academic schedule that ended the term prior to April’s end. The May 2016 layoffs, which let 300 CSU employees go, will affect class offerings and ancillary campus activities during CSU’s 2016 summer term. In addition, Illinois institutions of public higher education and recipients of state MAP grants have not yet been informed of their funding status for FY17, including monies required to conduct instruction during the 2016 fall term. Chicago State University is located on the South Side of Chicago. Ann Rondeau selected as College of DuPage’s sixth president. The Glen Ellyn-based public college was founded in 1967, and will celebrate its 50th birthday in September 2017. Rondeau, a retired vice admiral in the U.S. Navy, has executive experience leading the National Defense University. The NDU is a consortium of continuing-education centers and research institutes that serve the fighting services of the U.S. Department of Defense. Rondeau’s advocates point to her Washington, D.C. experience as a potential selling point to grow the College’s Homeland Security Education Center, a consortium of programs that train homeland security professionals and first responders. Rondeau’s selection followed a period of executive disarray at the DuPage-based educational institution. A series of news stories and law-enforcement investigations discovered questionable financial practices at the College. The uncovering of apparent abandonment of administrative best practices led to the dismissal in August 2015 of former college president Robert Breuder. Voters within the College of DuPage’s property-taxing district elected a ”clean slate” of trustees to take over the majority of the troubled community college’s board trustees, and members of this “clean slate” cast votes as trustees on Monday, May 2 to select Rondeau as the institution’s new president. Her term will begin on July 1. Arlington Park, major horsemen’s association reach deal to enable summer 2016 race meet. The agreement was inked on Friday, April 29. Live horse racing in Illinois is carried out by agreements between the state’s three remaining operating racetracks (Arlington, Fairmount and Hawthorne), and the associations of horse owners and trainers that own or operate strings of horses trained to race. Arlington International Racecourse has, for many years, worked with horse owners and trainers who are organized in the Illinois Thoroughbred Horsemen’s Association (ITHA). Their cooperative relationship includes conditions in the racetrack’s “backstretch,” the complex of small buildings adjacent to the track where the thoroughbreds are houses, exercised, and fed. The relationship between Arlington and ITHA had hit some snags in April, potentially threatening the 2016 summer live racing season. The two-year agreement between Arlington International and the ITHA represents a resolution of the points of contention between the two partners. The pact made it possible to start the Chicago-area race meet on schedule on Friday, May 6. An estimated 1,700 horses are expected to be trucked into Arlington to race this summer. The agreement will also cover racing at Arlington in summer 2017. During non-summer months, Arlington Park and its affiliated off-track betting partners take bets on horse races being held at other tracks. House members fight to keep Downstate juvenile facility open. The Illinois Youth Center – Kewanee, located in northwestern Illinois’s Henry County, is facing shutdown by the State. The Illinois Department of Juvenile Justice, which uses the relatively new (2001) detention center to house approximately up to 354 adjudicated juveniles, believes that new trends in juvenile criminology – particularly the creation of new platforms of intensive community-based supervision – make it possible to close the facility. The Department reports that about one-quarter of the beds within the facility are vacant, with approximately 260 juveniles actually detained in Kewanee on an average day. Under state law, the Department is required to listen to the advice of a legislative panel, the Commission on Government Forecasting and Accountability (COGFA), before taking final steps to close a major State facility. This week, COGFA listened to the pleas of local lawmakers, headed by Rep. Don Moffitt of Galesburg, and voted 6-5 to support keeping the detention center open. Maintaining operations at Kewanee would save the nearly 240 jobs occupied by persons who work there as guards, cooks, and specialty personnel. The Department is not bound, however, by COGFA’s expressed wishes. In her testimony to COGFA Tuesday, Department Director Candice Jones reported that her Department believes that Chicago-area young people will respond better to detention if they are housed in facilities closer to their homes and families. Governor Rauner signs executive order to improve administrative hearing process. 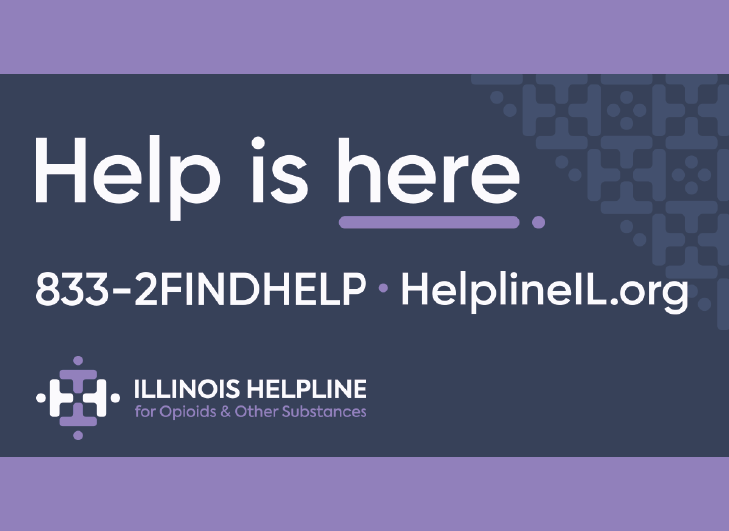 Governor Bruce Rauner signed an Executive Order last Friday to begin a pilot program in an effort to reduce the backlog of administrative hearings in Illinois. Executive Order 16-06 will create the Bureau of Administrative Hearings at Central Management Services to analyze current administrative procedures to improve government efficiency and services for Illinois residents. "The current system does not work, causing lengthy delays in justice for residents and businesses," Governor Rauner said. "It’s time we address this backlog head on to give people the justice they have been waiting for." To reduce and eliminate the backlog of hearing requests, the pilot will explore the creation of a centralized panel of adjudicators to conduct hearings for multiple agencies. In addition, it will draft Model Rules of Administrative Procedure that can be used across all agencies to reduce confusion and legal costs. More than 100,000 hearing requests are filed in Illinois every year by businesses and taxpayers, and many agencies have a significant backlog. For example, the Human Rights Commission has a backlog of more than 1,000 cases and it can take up to two years to conclude a hearing at the Illinois Department of Financial and Professional Regulation (IDFPR). A large focus of the Executive Order will focus on data collection and improving technology. Currently, each agency uses its own system to track hearings with some using technology that is nearly 20 years old, and a fifth of hearing requests are filed with agencies that do not have an electronic case management system. A central administrative hearing model is used in 30 other states, and many cities, including the City of Chicago. Lawmakers call on Auditor General to stop stalling on months-old campaign expense and reporting questions. A group of Illinois lawmakers began in February formally requesting that Auditor General Frank Mautino work expeditiously to answer serious questions about campaign expenditures and reporting procedures dating back to his time in the Illinois House of Representatives. More than three months later, lawmakers stressed that Mautino’s foot dragging needs to stop. State Senator Jim Oberweis had raised concerns in February when the Ottawa Times and the Arlington Heights Daily Herald newspapers wrote about questions surrounding campaign account transactions when Mautino served as a State Representative. “The Times reported that the State Board of Elections was seeking clarification from then-Representative Frank Mautino about $259,000 he paid to a Spring Valley bank since 1999. A Daily Herald editorial was also calling for some answers. A letter was sent to Auditor General Mautino asking for timely answers to the questions that were raised,” Oberweis said. A group of twelve legislators from the House sent the initial request to Auditor General Mautino on February 1st asking for a written reply within 10 days. Mautino replied on February 9th that he needed more time to properly address the request. To accommodate the Auditor General, the lawmakers on February 11th extended their request deadline to February 25th. Mautino replied that he had retained a legal firm to assist him and would be working ‘…during the next few weeks in order to respond to your letter.’ The lawmakers released the correspondence today, stressing their growing frustration with the continued delays. “Now that it’s been more than three months since our first official request for information was sent to Auditor General Mautino concerning the irregularities in his campaign records, I think it’s reasonable he provide some answers. After this much time and multiple requests, he owes it to the residents of Illinois,” said Rep. Sheri Jesiel. Lawmakers today also sent Auditor General Mautino a third letter requesting an immediate resolution to the issue. Democrats’ income tax hike proposal fails. HJRCA 59 would have moved Illinois toward a graduated income tax. Under the Constitution of 1970, the State is required to charge a flat rate of tax on all incomes earned by individuals in Illinois. Approval of HJRCA 59 by the General Assembly by this week’s deadline would have opened the door for submission of the constitutional amendment to the voters of Illinois in November. However, the House and Senate did not take action on this measure this week. The failure to take action meant that the May 7th “window” for submission of a constitutional amendment to the voters has closed without action on this front. 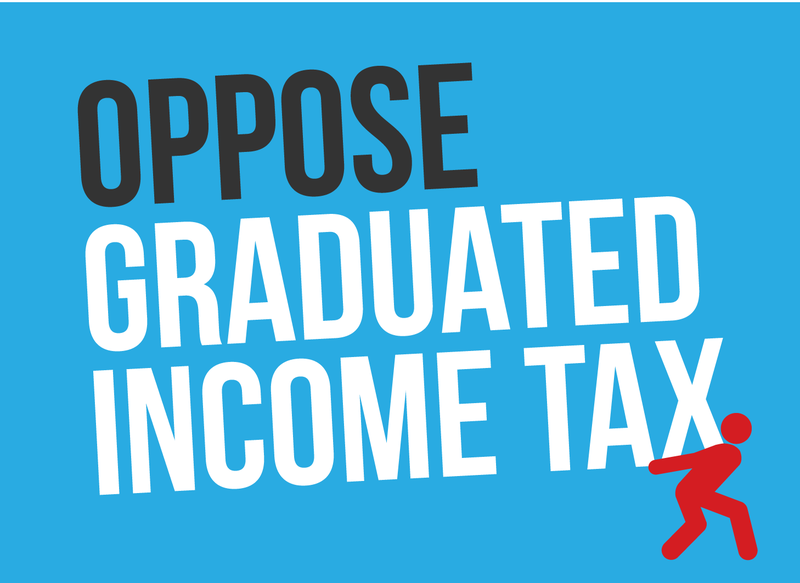 If this amendment were to have been approved, that would open the legal door to enactment of graduated income tax rates that would be well above the current rate of 3.75% in Illinois. Supporters of HJRCA 59 pointed to the tax rates contained in a parallel measure, HB 689 which would have imposed individual Illinois income tax rates of up to 8.75% and 9.75% on high-end Illinois incomes. In addition to the pain that would have been imposed on individual taxpayers, adoption of HJRCA 59 and enactment of HB 689 could have imposed a serious blow on the overall Illinois economy. The Illinois Department of Revenue (IDOR) estimated this week that enactment of HB 689 would have led, by discouraging entrepreneurial, job-creating activity in Illinois, to the destruction of an estimated 20,000 Illinois jobs. This job loss would have likely led, in turn, to the departure of an additional 43,000 Illinois residents from the state. The departure of a significant number of productive workers and their families would, in turn, have imposed negative effects upon Illinois economic production, productivity, income tax receipts, sales tax receives, and tax receipts from other state levies. The Department of Revenue’s fiscal note on HB 689 further lists these consequences. House Republicans stood united in our opposition to the Democrats’ tax hike. The same party responsible for years of overspending, over taxing and a mountain of debt wants to move to a graduated tax for one reason and one reason only – to raise taxes and spend more money. As we predicted would happen, after taking in an extra $34 billion from the temporary tax hike, having made absolutely zero progress on reforming Illinois’ finances, Democrats are now looking to sell yet another massive tax hike. Democrats argue that under their so-called “progressive” tax system, only the wealthy will pay more. However, just two years ago, the House Democrats introduced a plan that included seven tax brackets and a top rate of 9 percent, raising taxes on all income over $18,000. A graduated tax system would give a blank check to the Democrat majority in Springfield to set the rates. A graduated tax system punishes success and discourages small businesses from creating jobs. Seventy percent of small businesses pay taxes at the individual, not the corporate, tax rate. They create the majority of new jobs. Illinois is already ranked among the worst states for job creation. We can’t afford to lose more jobs. Illinois Toll Highway Authority announces summer 2016 plans. These plans, according to Executive Director Greg Bedalov, will include the institution of all-electronic tolling on Route 390, also known as the Elgin-O’Hare Expressway. Vehicles using this road will be expected to have transponders for automatic payments of tolls due, although Bedalov stated that drivers without transponders will also have the right to go online and make subsequent payments. Online payments will be due no more than 7 days after the non-transponder vehicle passes over the highway. No Route 390 toll gates will accept cash. Cashless tolling will begin on July 5, 2016. The movement in Illinois towards cashless tolling parallels policies instituted by toll roads and bridges in other states. California, Colorado, Florida, North Carolina, Texas, and Washington have instituted cashless tolling for certain defined toll roads, bridges, and high-speed toll lanes. According to the Illinois Toll Highway Authority (ITHA), 90% of drivers using Illinois Route 390 already have I-PASS, an ITHA-approved transponder device, which matches a driver with a financial account and automatically deducts toll payments due. The ITHA will charge an electronic toll of $1.90 for drivers traveling the entire 10-mile length of Illinois Route 390. The ITHA has published a map of the expanded highway and its segments on which tolls will be charged. The Route 390 east-west toll road offers access from Hanover Park, in far northern DuPage County and northwestern Cook County, to Bensenville, adjacent to O’Hare International Airport.